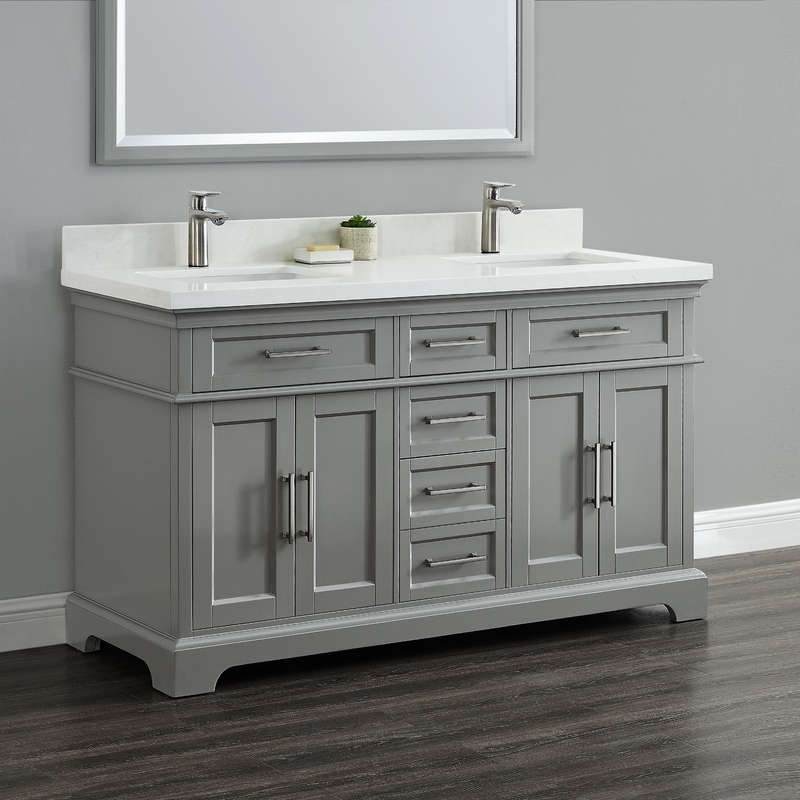 The Mission Hills® Cameron vanity collection will transform your bathroom with a luxurious and transitional flare. 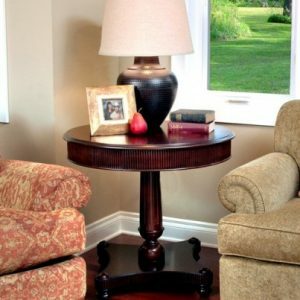 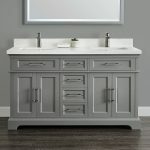 No detail of this beautiful vanity has been overlooked. 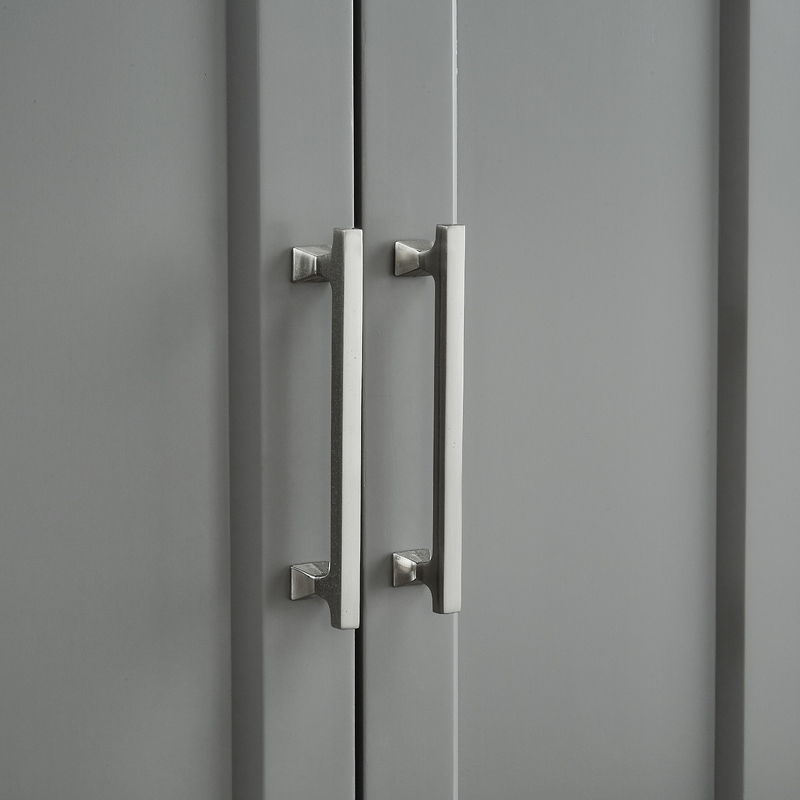 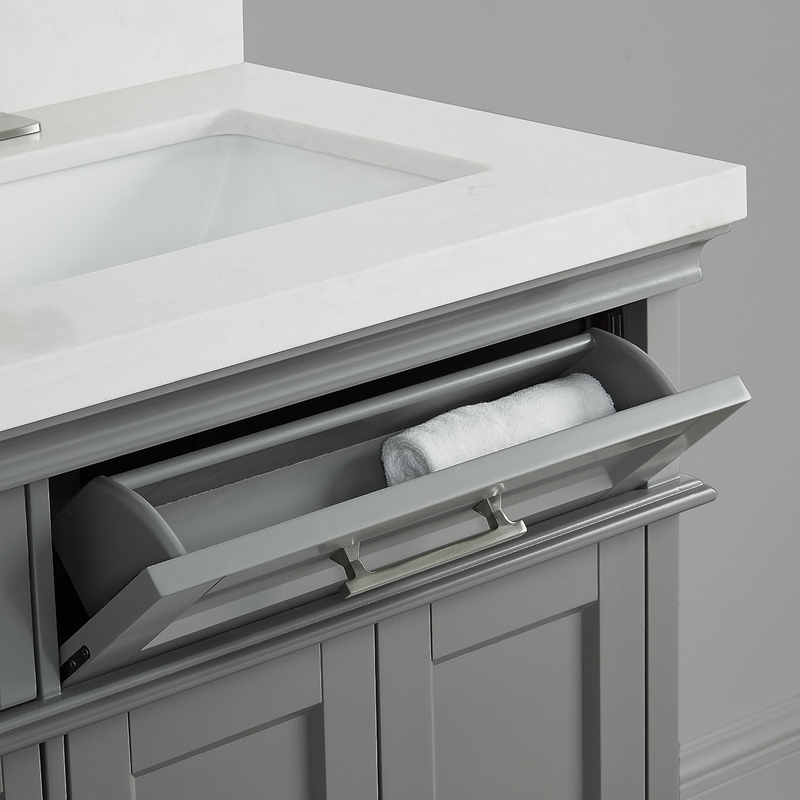 Soft-close doors and drawers, extra tilt-out drawers and quartz countertops are just a few of the high-end features of the Cameron collection. 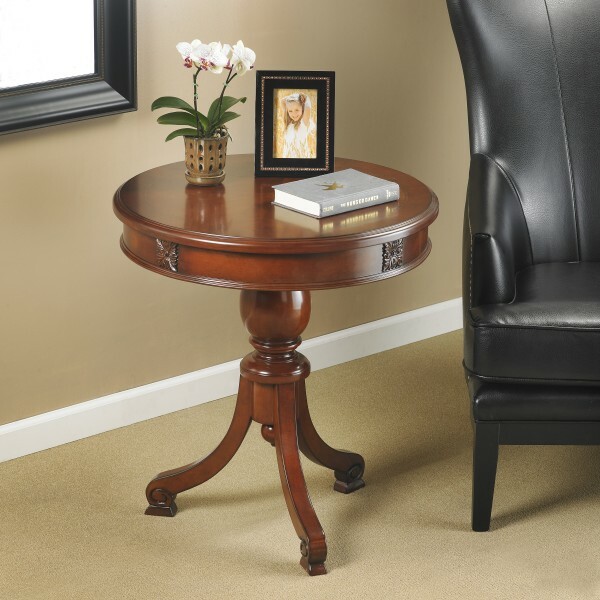 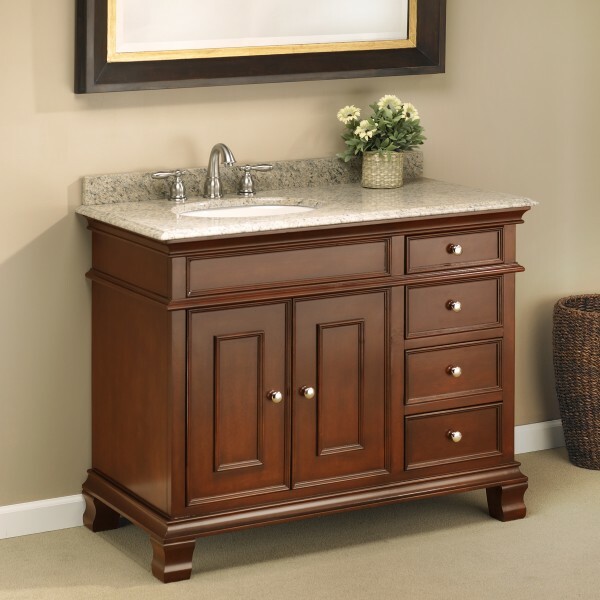 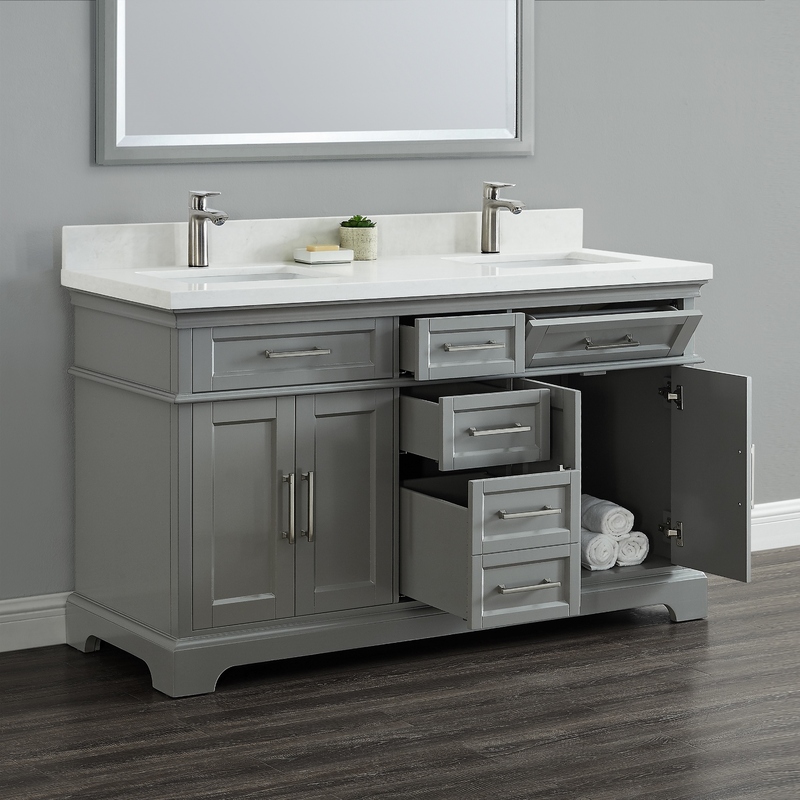 This vanity provides ample storage space for all your bathroom necessities. 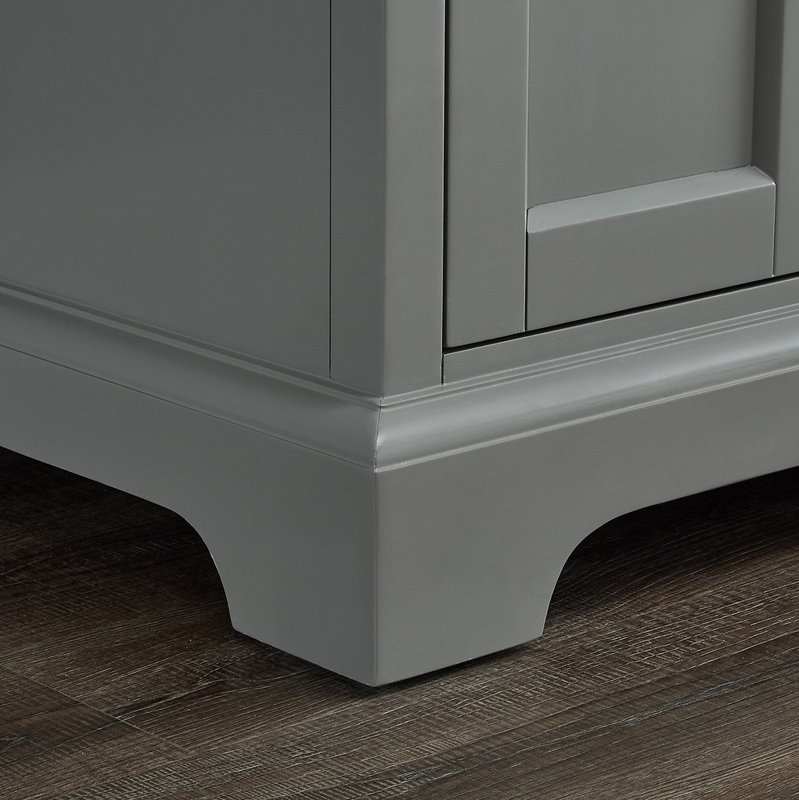 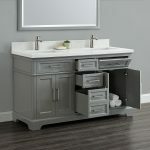 Whether it is the large double door storage areas under the sinks, the tilt-out drawers, the oversized bottom drawer or the variety of other drawer sizes, the Cameron vanity will meet your bathroom storage needs. A stylish valance base and beveled shaker style doors finished in a warm pewter gray compliment the elegant, low-maintenance white marbled quartz countertops and matching 4” backsplash. 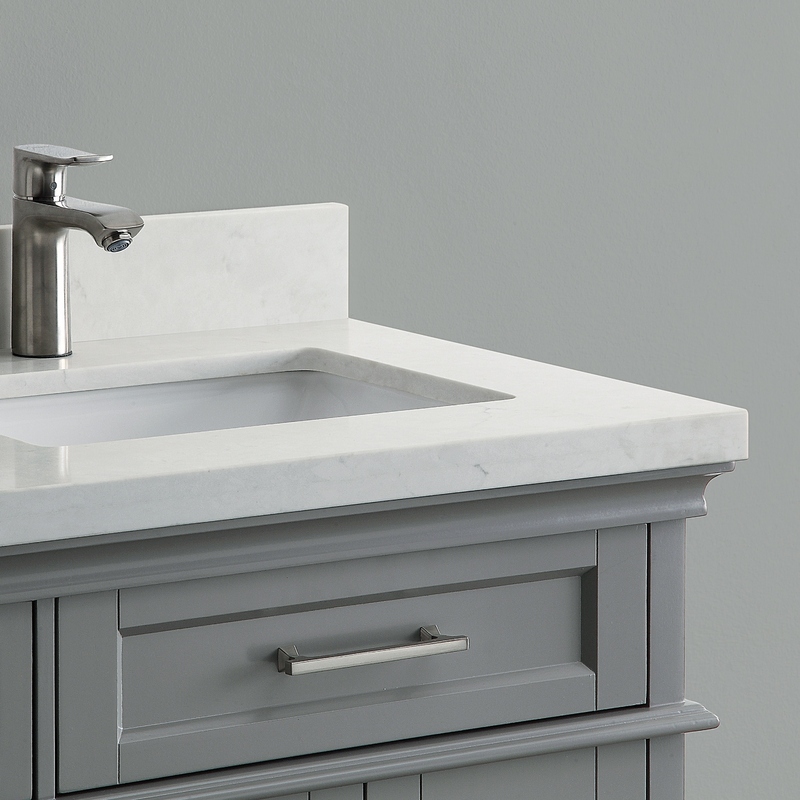 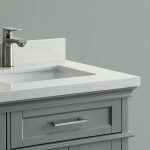 The countertops are pre-drilled for single-hole faucets and the cabinet includes under-mounted CSA rated rectangular porcelain sinks. 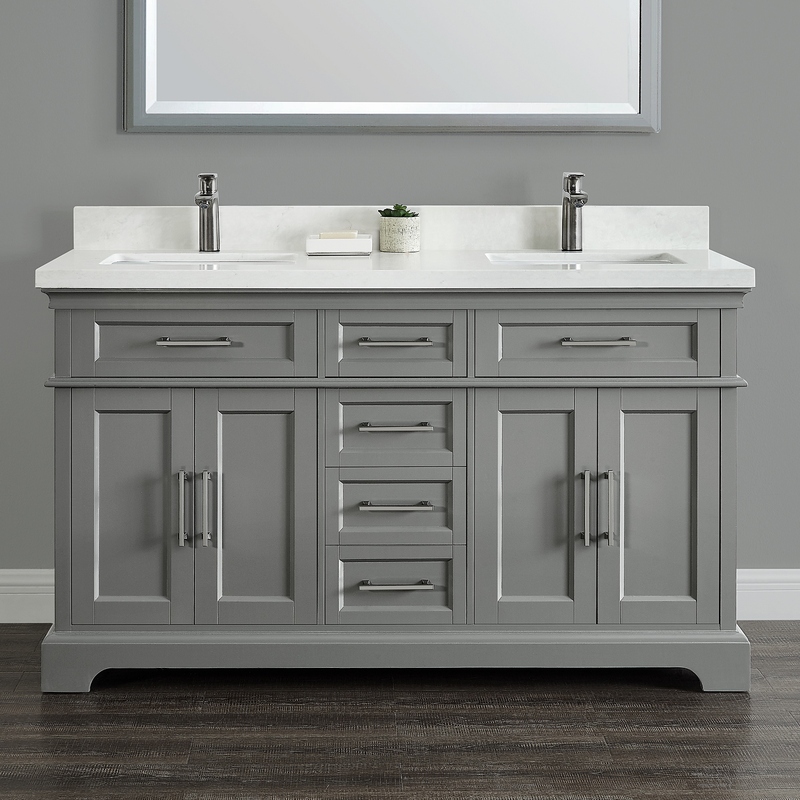 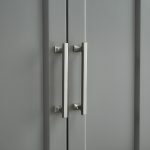 Brushed nickel hardware completes the elements that give this vanity a designer look.